Like Soigneur? 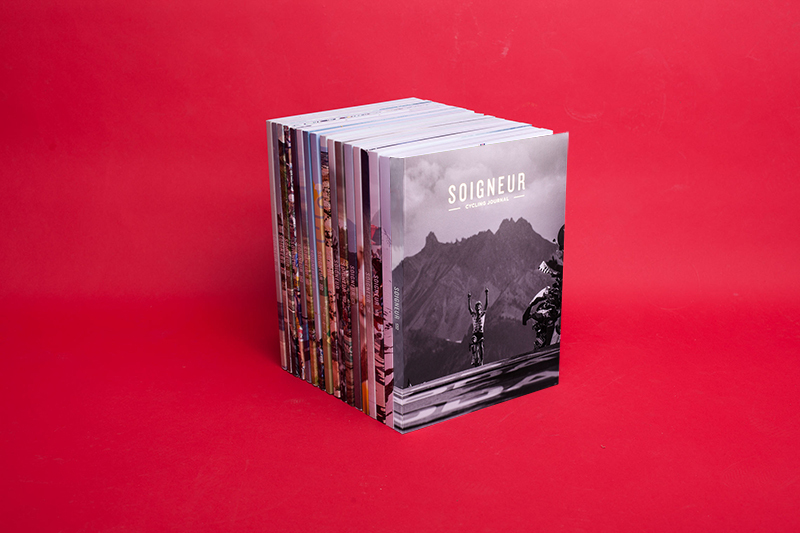 You can subscribe to our journal and get Soigneur sent to you automatically, anywhere in the world. We publish twice a year, in May and November, and our subscribers are the first to receive the new edition. So subscribe now, there are only benefits. Soigneur Cycling Journal 19 will be released in June 2018. Please note our personal subscriptions are extended automatically. A gift subscription will end after two editions. If you have any questions regarding subscriptions, please send a message to klantenservice@aboland.nl. You can manage your subscription details, claim unsent editions and get answers to other related topics quickly online at Abonnementenland.